A quality backup camera like the Garmin BC 35 can significantly enhance rearward visibility for drivers and, thus, help minimise the risk of “blind zone” accidents whenever your vehicle is moving in reverse. When paired with a compatible GPS navigator, the BC 35 wireless backup camera is a multi-purpose Wi-Fi-enabled camera intended to help drivers easily spot vehicles, pedestrians, and other hard-to-see obstructions behind your vehicle. 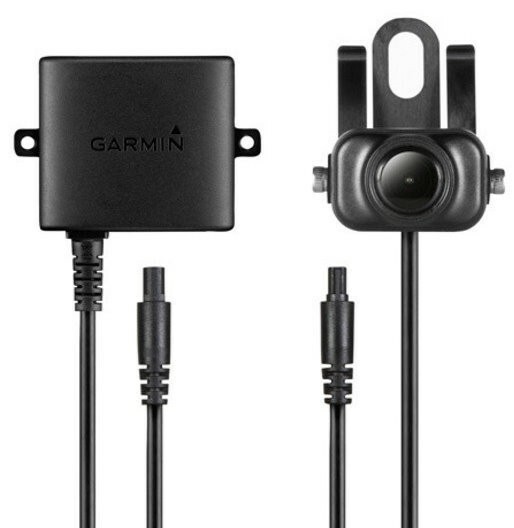 If the camera is wired to your reversing lights for power, your compatible Garmin navigator can automatically display camera footage every time the vehicle is shifted into reverse – and go back into navigation mode when shifted into a forward gear. As another option, you can wire the system to constant power, which allows you to toggle between the navigation display and backup display modes at the press of a button. The onscreen guidance lines may be adjusted according to your vehicle size, to help drivers more easily gauge the reversing distance. Up to 4 cameras can be used together in 1 system, for multiple viewing angles when reversing your vehicle. The BC 35 is rugged enough to withstand even the harshest of weather. Garmin recommends taking the BC 35 to your dealer for professional installation. But if you’re a diehard do-it-yourselfer, that’s an OK alternative as well. You’ll need to mount the camera on the rear of your vehicle and connect it to a power source, such as the rear lights. ¹Navigator sold separately. See compatible devices.